Looking for more water volume and/or pressure from your RO/DI system? 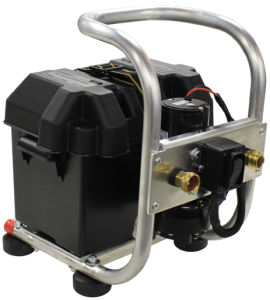 This battery powered booster system provides 110 PSI and multiple gallons per minue out of your water system. This allows you to work well above 40' as well as run multiple operators off of just one system. System includes a simple inlet female garden hose fitting and a male garden hose outlet fitting.